Failover plans allow for quick 1-click failover orchestration of the VM(s) replicated to DSM’s VCC. VM’s must have already completed one successful replication to be added to a failover plan. You will be presented with a list of replication jobs from which to choose. You can choose the entire contents of a replication job or a subset of VMs from the job. Select the Job or VM/s to include. 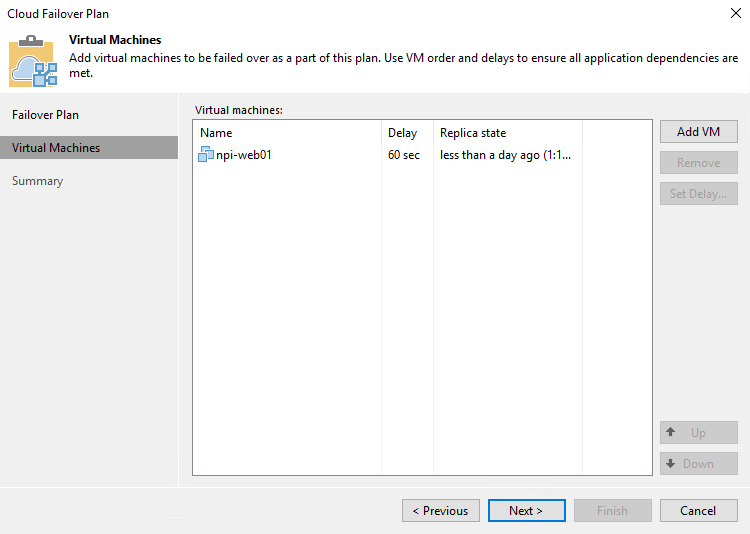 Repeat for each VM you would like to include in the failover plan.